Ignorance really is bliss sometimes. Today’s disturbing parental revelation courtesy of Bludgeoning Angel Dokuro-chan (撲殺天使ドクロちゃん/Bokusatsu Tenshi Dokuro-chan) – Volume 1 (March 26, 2005) by Mitsuna Sakuse and Mitsuna Ouse. As Gertrude Yorkes is about to learn, there are certain things that girlfriends neither want nor need to know about their boyfriends. This could only get worse if he told us that he rotated them on a regular basis. This disturbing insight into Chase Stein‘s personal hygiene courtesy of Runaways #7 (September 2005) by Brian K. Vaughan, Takeshi Miyazawa, and Craig Yeung. We all need to vent sometimes and we all do it in our own unique ways. Poor little rich girl Rea Sanka, for example, takes all her bottled-up frustrations and yells them down a well. While we can’t fault her technique, if any of you ever decide to do the same, remember to make damn sure that no one’s eavesdropping on your little confessional or you’re going to have a whole new set of issues to deal with. 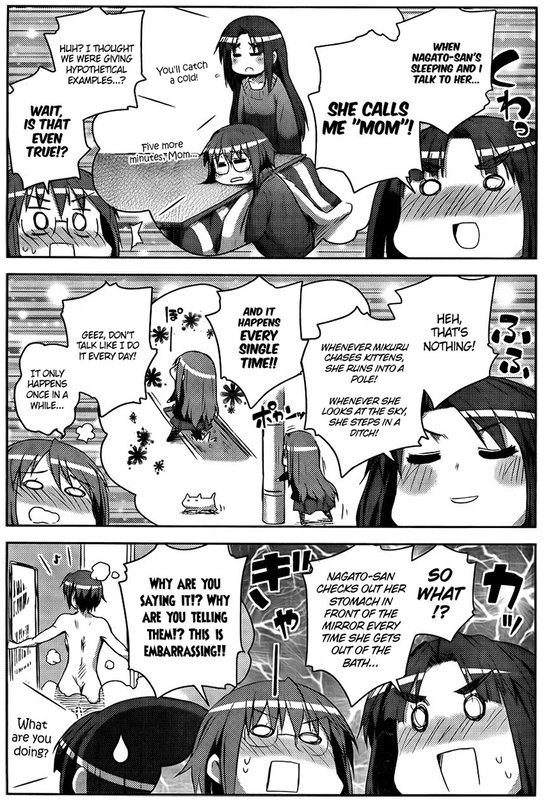 If Sadako Yamamura's down there, I'm pretty sure she's just as embarrassed as the rest of us. This cautionary tale has been brought to you by Sankarea (さんかれあ) – Volume 1 (July 1, 2010) by Mitsuru Hattori.